Here are two graphics that show the Joomla! 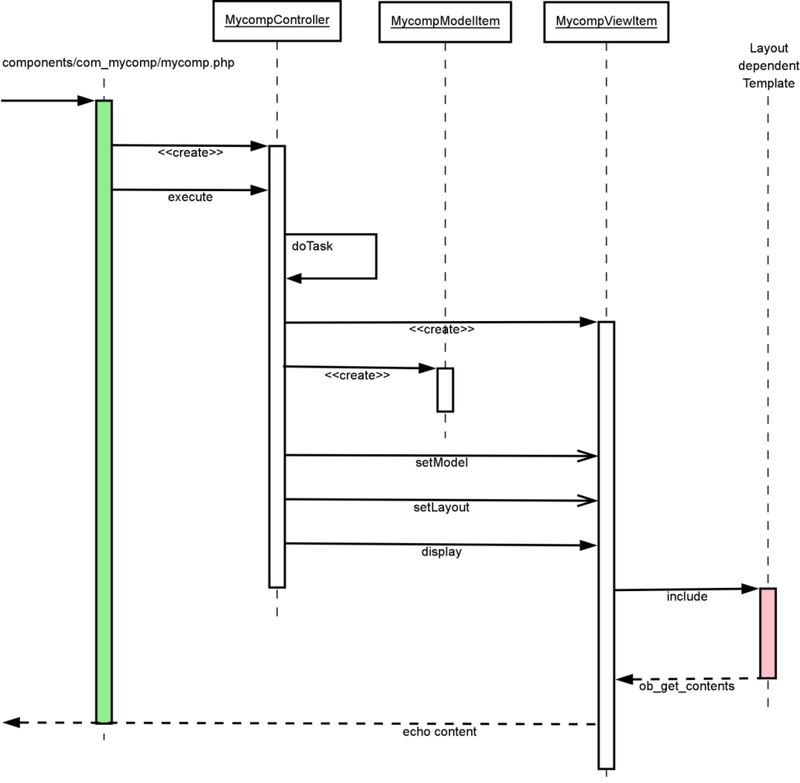 program flow for the model-view-controller design pattern in Joomla. You can download the source files below. 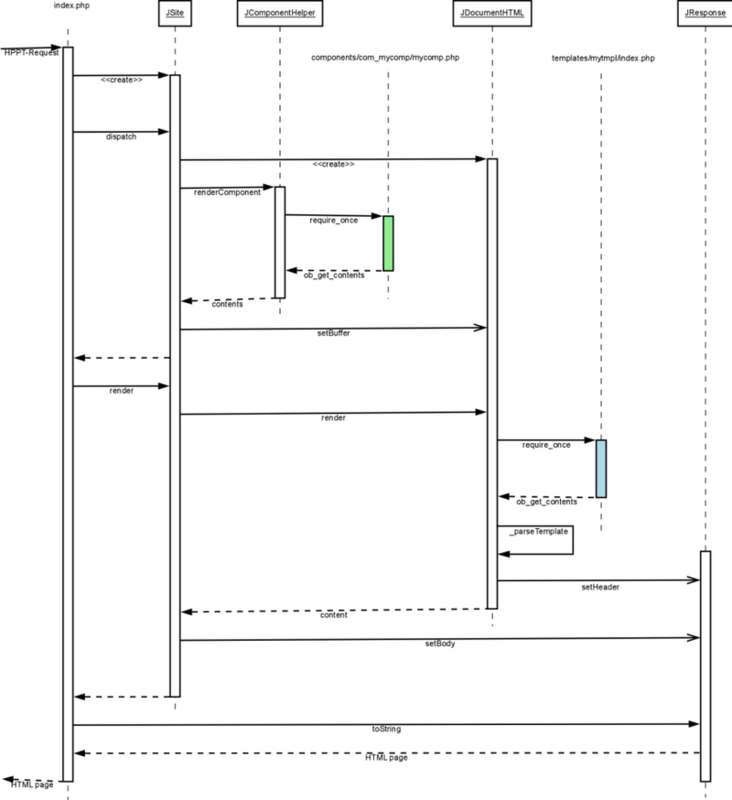 The source file for mvc_part1.dia is here. The source file for mvc_part2.dia is here. This page was last modified on 8 October 2013, at 15:37.